Many of us simply don’t want to wear headphones attached to wires anymore, especially when we are on the go. Those cables or wires could be hindrance to our activity, or could cause some unwanted incident or accident while we are doing something. It’s 2017 and most modern day wireless headphones have better components built in them; for better connectivity and sound quality. Here, I listed some of the best over-ear wireless headphones that your money can buy. They are not only best in terms of audio quality, but also in terms of aesthetics and comfort. The list below only covers over-ear headphones. I’m going to do an on-ear and in-ear wireless headphones on a separate article. Go ahead and check out my top 5 pick best over-ear wireless headphones below. There are basically three types of headphones: over-ear, on-ear and in-ear. Over-ear wireless headphones have larger ear cups that surround your ear. They are also referred to as full-sized headphones. On-ear wireless headphones are smaller compared to the full-sized headphones. Their build is usually smaller and the ear cups rests on your ears. Personally I’m not a fan of on-ear headphones. Finally there’s the in-ear wireless headphone, the smallest among the three; and you simply plug it in your ears, no headbands or anything sitting on your head. Over-ear and on-ear wireless headphone are usually best for scenarios where you are taking a walk, or when you’re commuting. They usually offer better sound quality and music experience compared to in-ear wireless headphone. Not to mention some people don’t like the idea of something being plug in their ears. However, they are bulkier and would require a (carrying) case to properly transport them if you’re not wearing them on your head all the time. On-ear wireless headphones sit on your ear. They are smaller compared to over-ear headphones but not as small as in-ear headphones. Some people don’t like in-ear headphones but also don’t like to carry large and bulky full-sized over-ear headphones. Thus, the on-ear headphones are the solution. Personally, I’m not a fan of on-ear because they sit on my ear and they tend to clamp my ear. My ears get warm and I simply don’t like that feeling. But that’s just me, you’re mileage may vary. In-ear wireless headphones are good for sealing out noise around you. It’s also good if you are doing some workout or during a commute as well. They are lightweight and are not bulky, very easy to carry around. Usually over-ear headphones have better audio quality compared to in-ear headphones. But technology has caught up and there are many in-ear headphones that already sound as good as full sized headphones. Some even sound better, but you’ll have to pay more for these types of in-ear headphones and most of them are usually wired. Without further ado, below are my top 5 picks best wireless over-ear headphones currently available in the market. The list is sorted according to price, lowest first. 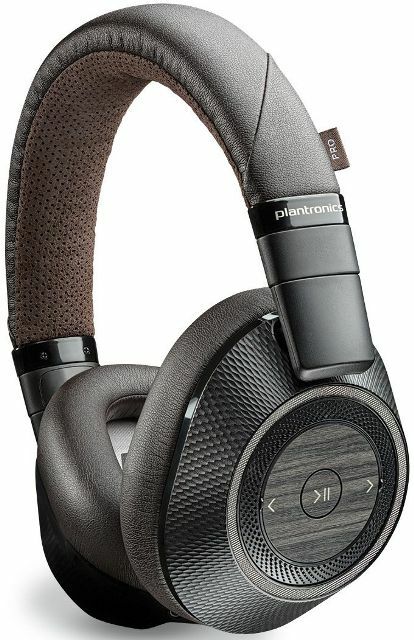 First on the list is the Plantronics BackBeat PRO 2 over-ear wireless headphone, currently with a retail price of $199.99. The company released the BackBeat Pro a few years ago and this one is built with new features and improvements not only in the design but in sound quality as well. It also features active noise cancelling or ANC which can be switched on or off, just like on the first BackBeat PRO. It offers up to 24 hours of streaming or wireless music playback; and can be used as wired in case the battery runs out or when recharging. The ear cups can be swiveled flat for storage or when you wear it on your neck. It also comes with a carrying pouch, a 3.5mm cable and a USB cable for recharging. 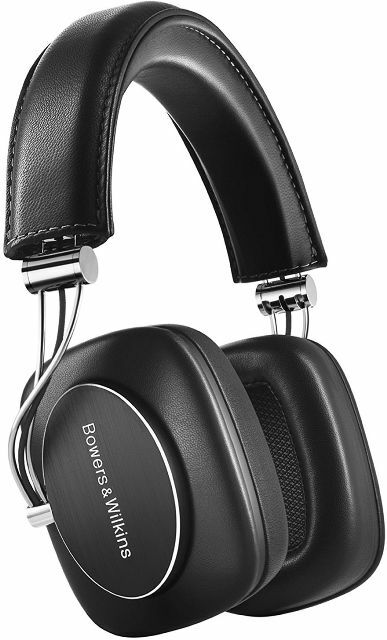 Up next is the Bowers & Wilkins P7, currently with a retail price of around $320. This over-ear wireless headphone just screams premium; from the design, the materials used and sound quality. The B&W P7 wireless is basically the wireless version of the popular wired P7. I love the P7 and sound quality is just smooth and fun overall. The B&W P7 wireless features aluminum housing and sheepskin leather, and it does support aptX technology; meaning better sound quality compared to non-aptX wireless headphone. It offers up to 17 hours of music playback; and also comes with a standard cable in case you want to connect it to your preferred DAC/AMP. The package also includes a carrying case and a USB charging cable. Next is the V-MODA Crossfade 2 over-ear wireless headphone currently retailing at $329 for the black and white versions and $349 for the rose gold with Qualcomm aptX. It’s a little bit more expensive compared to the P7 and I think the P7 feels more premium than the Crossfade 2. 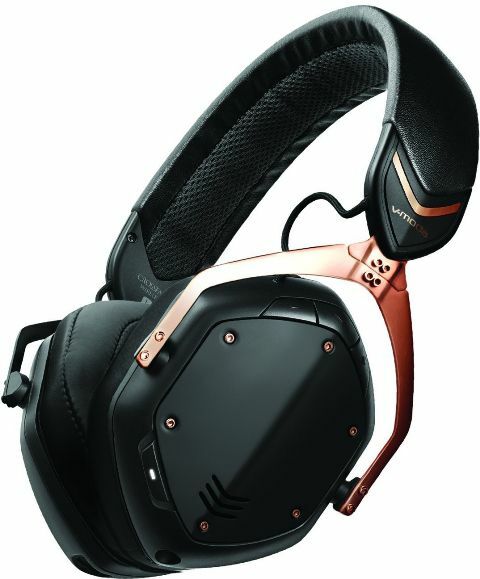 But the V-MODA CF2 does sound really good as well, on par or better with the P7 depending on your taste. The V-MODA Crossfade 2 wireless headphone features a new dual-diaphragm 50mm drivers and hi-res CCAW Japanese coil. It offers up to 14 hours of continuous music playback (hmm seems playback is getting lower and lower as the price gets higher); and recharge time is about 1 hours and 40 minutes. However, it does come with a built-in microphone, hidden inside, which according to the company is “specially tuned and optimized for phone calls and voice assistants”. The ear cups are foldable but cannot be swiveled, and it also comes with a standard 3.5mm cable (for wired connectivity) and a hard carrying case. If you opt for the V-MODA Crossfade 2, I suggest you get the aptX version if you want the best sound quality possible this headphone has to offer in wireless mode. Now this one is quite popular, the Bose QuietComfort 35 wireless headphone; currently with a retail price of $349. 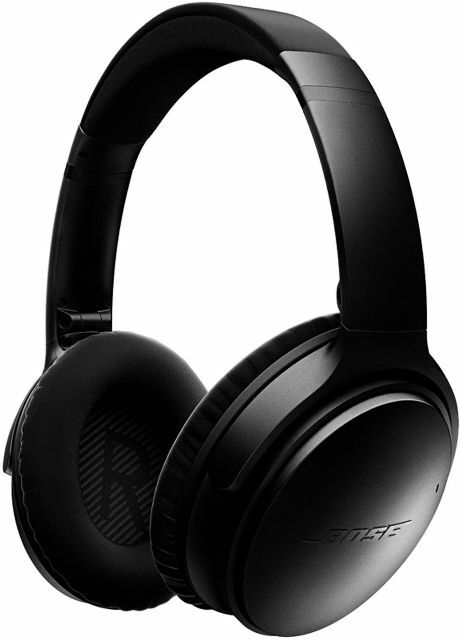 I think the reason why this is popular is because it’s lightweight, very comfortable and probably because it’s “Bose”. It features both Bluetooth and NFC, and has volume-optimized EQ for balanced audio performance at any volume. The Bose QuietComfort 35 wireless headphone also features noise cancelling; and noise-rejecting dual microphone system. Yes, noise cancelling for the ear cups and noise-rejection for the built-in microphone. Its battery is rated to last up to 20 hours of use, and 40 hours in wired mode. Package includes USB charging cable, backup audio cable, an airline adapter and a carrying case. Finally for the over-ear wireless headphone is the Sony MDR1000X premium noise cancelling over-ear wireless headphone. It’s more expensive compared to the previous over-ear wireless headphones, currently retailing at $398. It features Hi-Fi quality audio thanks to its 40mm dome type CCAW voice coil and features 4Hz to 40KHz frequency response. 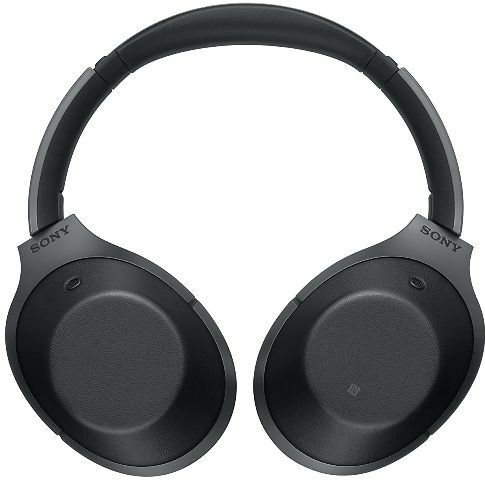 Aside from Bluetooth connection, the Sony MDR1000X also has NFC for quick pairing. It offers up to 20 hours of music playback and it also has a built-in microphone. It features touch controls and quick attention mode/ambient sound mode. Instead of aptX, Sony uses LDAC enhanced codec support to deliver hi-resolution music. Just like the wireless headphones above, the MDR1000X also comes with a standard 3.5mm cable for wired connectivity. There you have it guys, again these are my top 5 pick best over-ear wireless headphones. I won’t list 10 or more since it would only confuse you and I only picked the headphones that I really like, enjoy and could recommend to others. The Bose QuietComfort 35 is designed for people who have an understated palette. They’re almost the same as other Bose headphones. These headphones are made from premium materials, which makes them lightweight. They only weigh 234g, yet they’re stiff.